Disclaimer: This is a sponsored post written by me on behalf of Lowe’s. All opinions expressed are 100% my own. If there’s something this Wisconsin girl knows, it’s winters. I’m in the rare camp of people who love winter, although even I am ready for some spring weather at this point! Up here it’s not uncommon for things to shut down due to severe winter weather – stores, schools, vehicles, etc. – but something else that often comes to a screeching halt once winter hits is home improvement projects. More than two-thirds of adults find projects throughout the winter that they need to complete in their homes. Are you one of the many people who say there are things about your home that bother you every time you look at them? If so, I’ve got great news – the snow is melting, spring has arrived, and Lowe’s is here to help! Do you live in one of these cities? If so, tell us how you’d like to transform your home for spring! We’ll check out your project ideas, and me – or one of my DIY blogging friends below – just might show up at your door to make it happen! 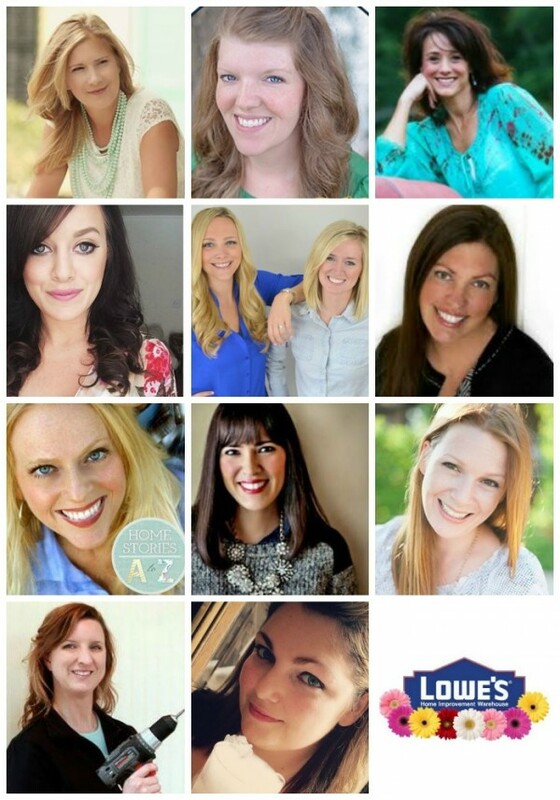 The Lowe’s spring spruce up team: City Farmhouse, The Golden Sycamore, Beneath My Heart, Liz Marie Blog, DIY Playbook, Just a Girl, Home Stories A to Z, Our Fifth House, All Things G&D, Pretty Handy Girl, and Brooklyn Limestone. Each of us bloggers will be assigned to one of the 10 cities above, along with a team of Lowe’s volunteers, to design and complete spring sprucing up projects for the home such as painting, landscaping, creating outdoor rooms and adding curb appeal. The projects that get selected will be easy refresh projects that can be completed in one day. Need some spring inspiration? 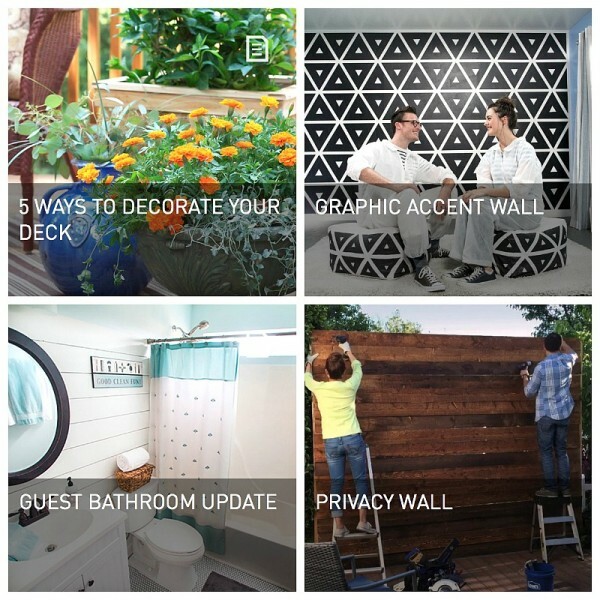 Check out the Lowe’s DIY and home improvement gallery to see these project ideas and more! So what’s on your to-do list? Tell us now! We can’t wait to help you make it happen! Click the button below to submit a home DIY project that will be considered for a Spring Makeover compliments of Lowe’s! Submission deadline is Friday, April 17th, so don’t delay! Live in one of the “10 Bleakest Cities of 2015″ listed above (or a suburb of that city). Be the owner of your home. Have a space in your home that you’re looking to fix up. Be in need of expert design help from a participating blogger. Have a project that can be completed within 24 hours. Be outgoing, energetic and fun, with unique stories to tell. Complete the online application form and agree to the Terms listed. Please note: We will only contact eligible participants. You have until this Friday, April 17th to submit your project for consideration, so don’t delay! I can’t wait to see which city I’ll be visiting and to share all the before and after details of my Lowe’s Spring Makeover project with you! we so look forward to seeing you a vital part of the Villiage of Cambridge!